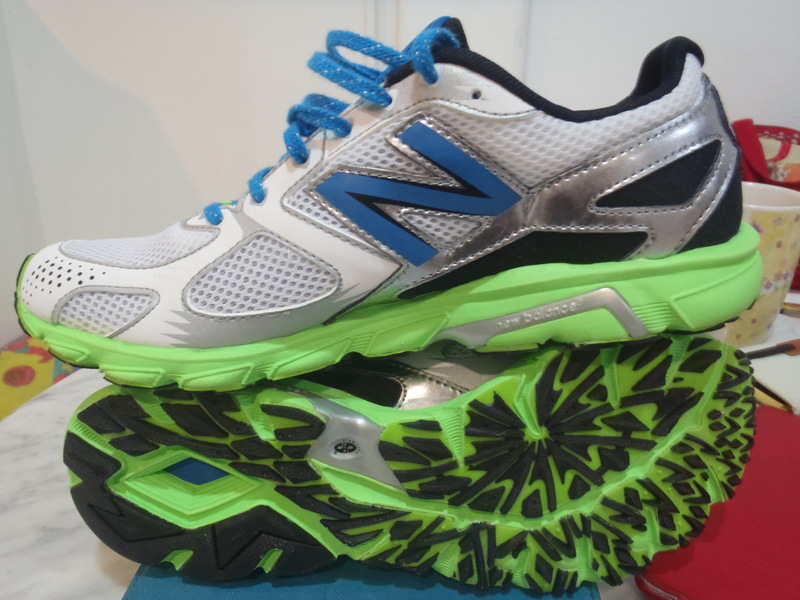 We usually see some exciting lightweight trainers and racers being launched in Spring. 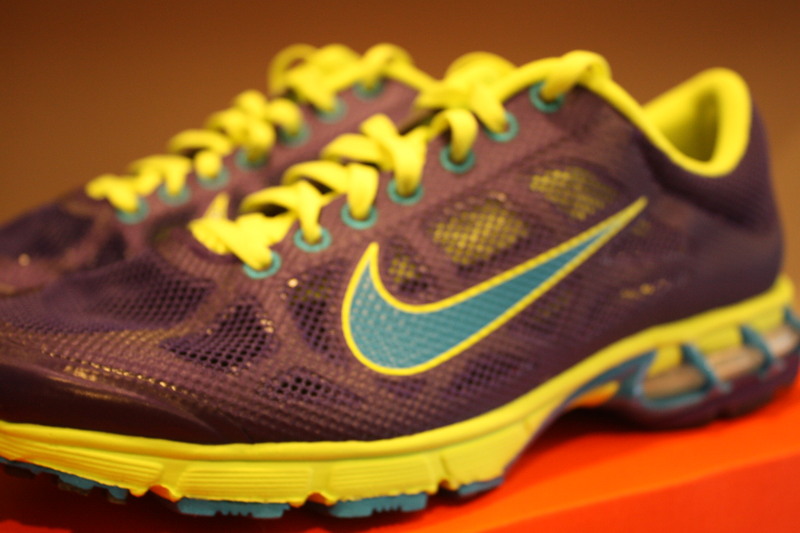 We’re glad to present the first new release of the season from Nike, the Zoom Speed Cage+ 3. The Speed Cage+ 3 is a throwback to the days when Nike Air seen everywhere. 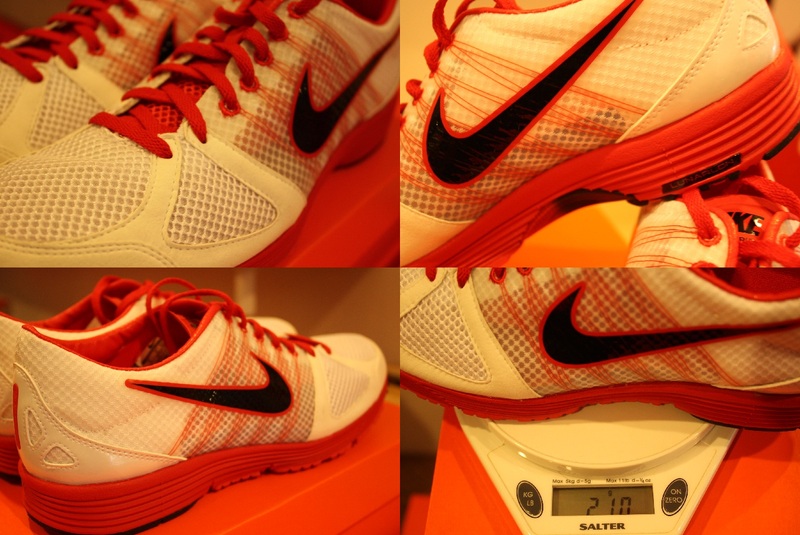 These days, the Nike Air unit makes its appearance in less shoes given the rise of Nike’s new Lunarlon cushioning system. I always thought the exposed air unit was a cool look and enjoyed the feel of it when I had a previous variant of this shoe, the Katana Cage, a few years back. 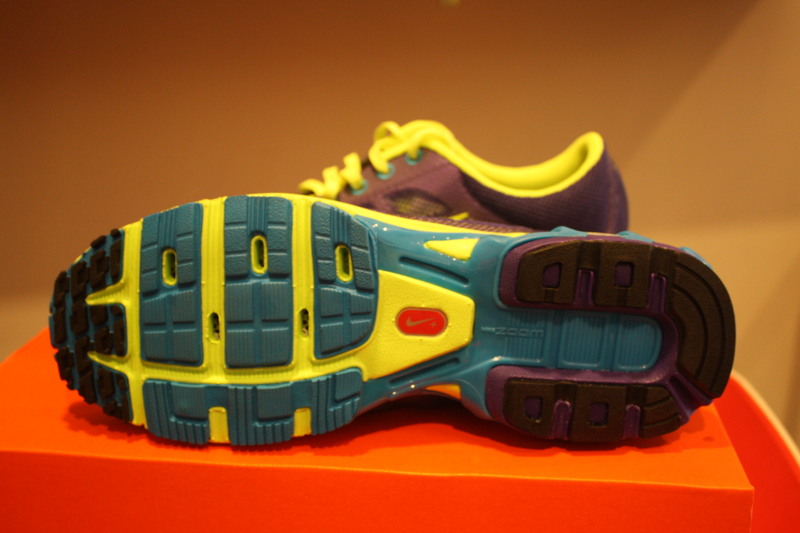 The upper is consists of an open mesh combined with Hyperfuse. At first look, you’d be forgiven for thinking that the upper was not going to offer much in terms of support because of its minimalist look. I’d advise that you wear nice socks because everyone will be able to see them. 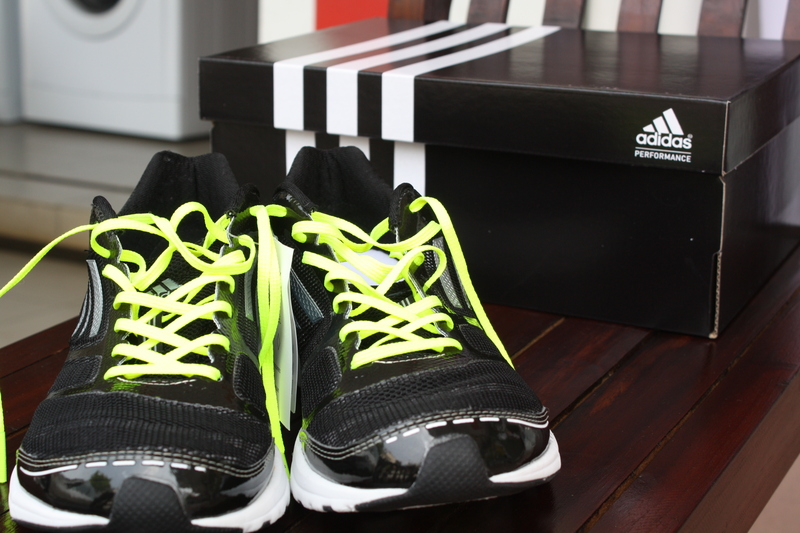 However, once you lace up, you’ll be pleasantly surprised by how securely the upper wraps your foot without being stiff. 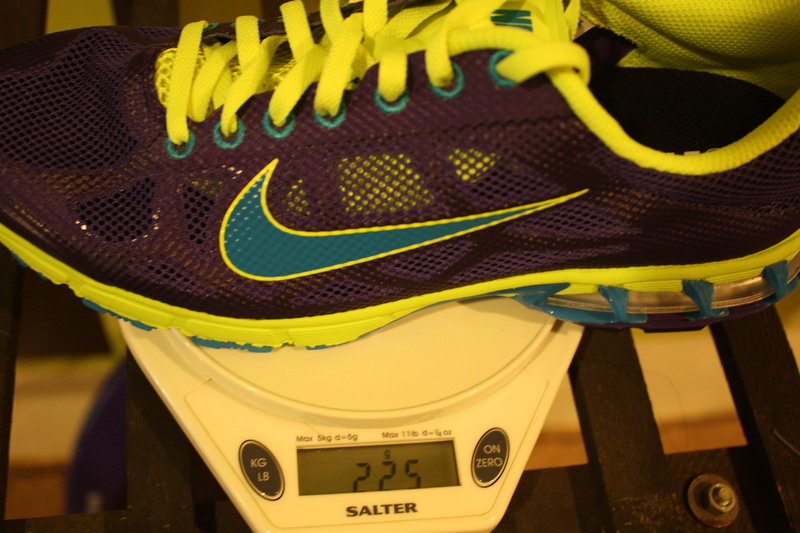 This is due to the Hyperfuse which offers a high level of strength (and stability) at a very light weight, similar to what Flywire does in shoes like the Lunarspider and Lunarelite. I don’t have any figures for the heel drop on the Speed Cage+ 3 but I’ll guess that its about 8mm. The shoe still feels pretty close to ground. This isn’t a flat out racer, but for a lightweight trainer that you could do the miles in, it toes the line between comfort and performance very well. 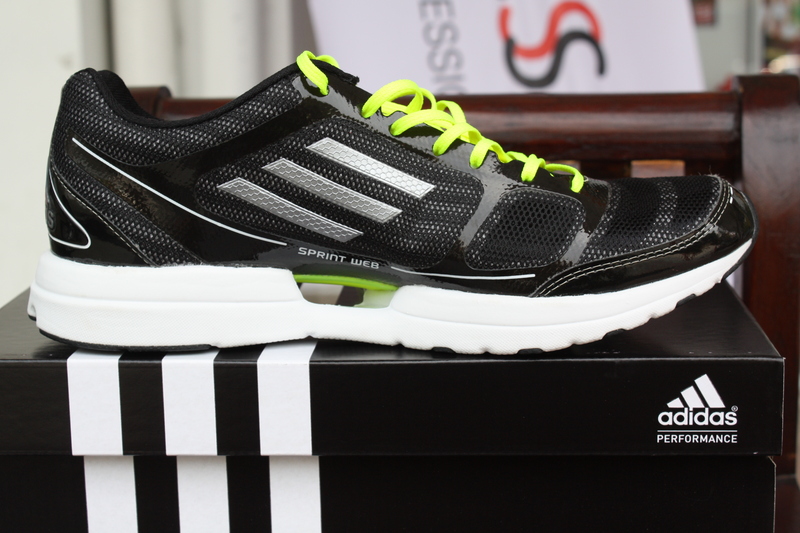 The forefoot area of the Speed Cage+ 3 is flexible and allows for a responsive toe off during speedwork. Regardless of whether you’re a heel striker or not, you’ll enjoy the plush cushioning that the Nike Air unit provides on those longer runs. 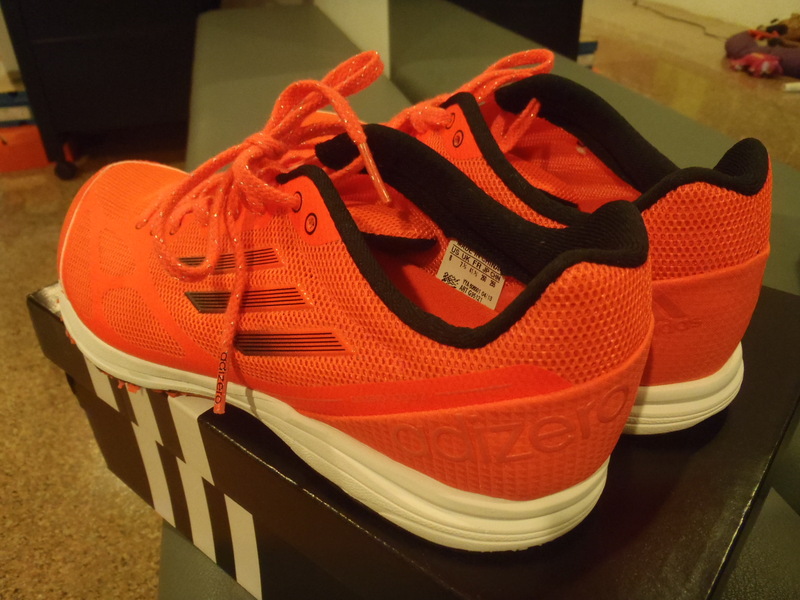 The upper isn’t completely seamless, but I tested the shoes sock-less (I have very sensitive feet) and for the 5mins that I ran in them, they were alright. Drainage! No flooding like Orchard Road here. As an extra feature, heavy sweaters and triathletes will appreciate the drainage holes in the outsole located at the forefoot area. 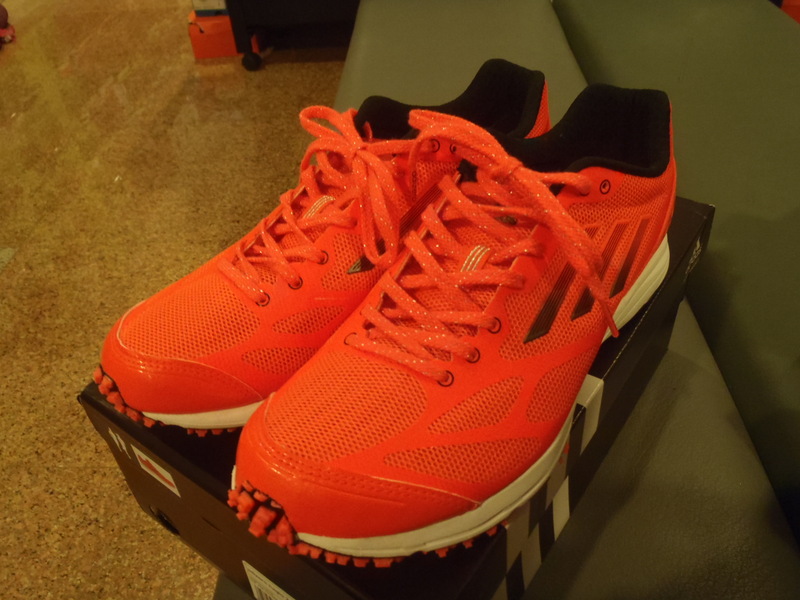 The Speed Cage+ 3 is a good option for runners looking for a cushioned race day shoe or a lightweight trainer that can mix it up on long runs and up tempo days. 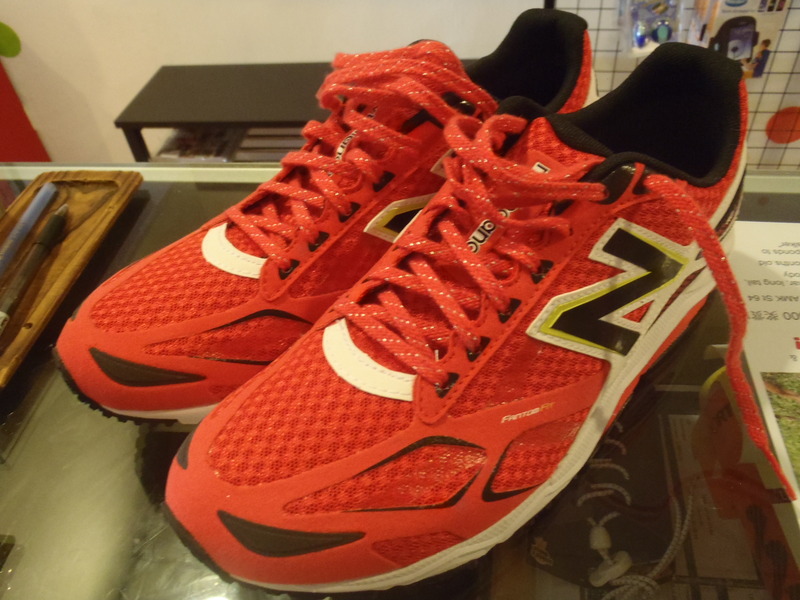 It is available now at The Runner’s Gait in sizes US 7 – US 12 (it is a unisex shoe and fits true to size) and retails at SGD$189. 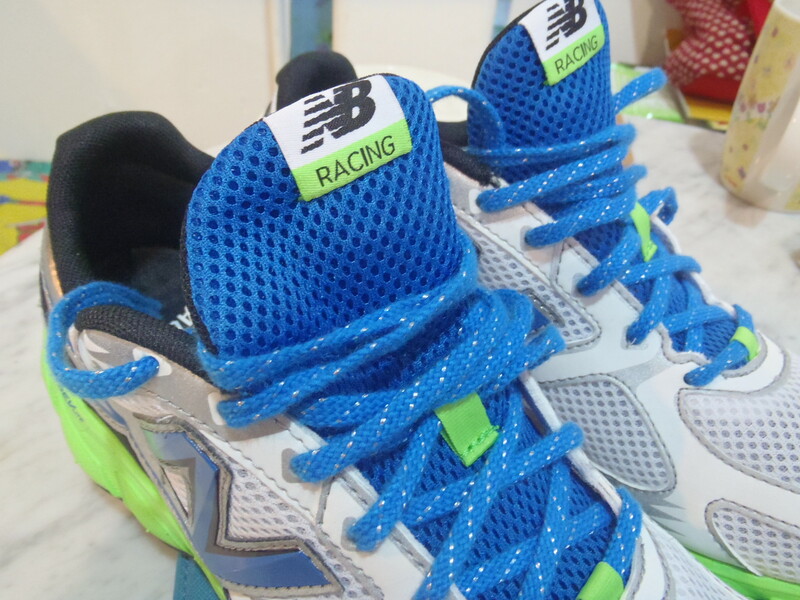 The RC1400 is the latest shoe from New Balance to feature the Revlite midsole and the first racing flat to do so. I’ve been waiting to see these shoes for a while so I was quite excited to put them on. 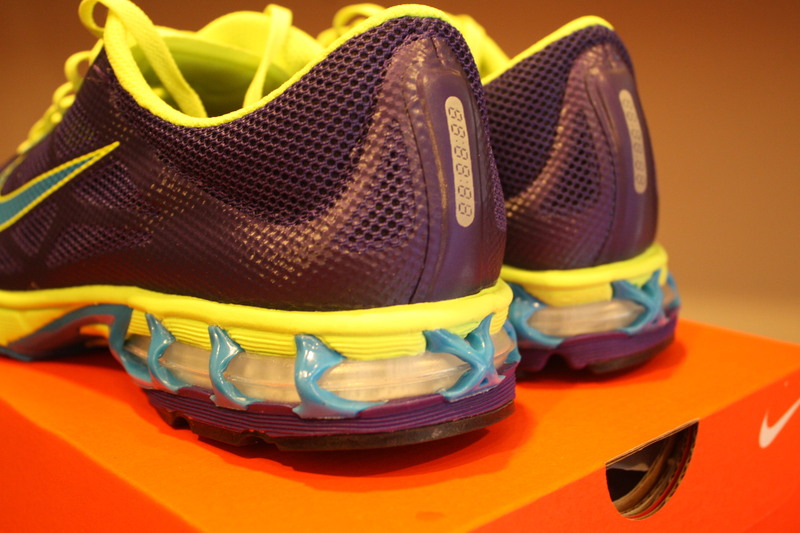 These shoes are pretty light, but they aren’t super-omg-light. 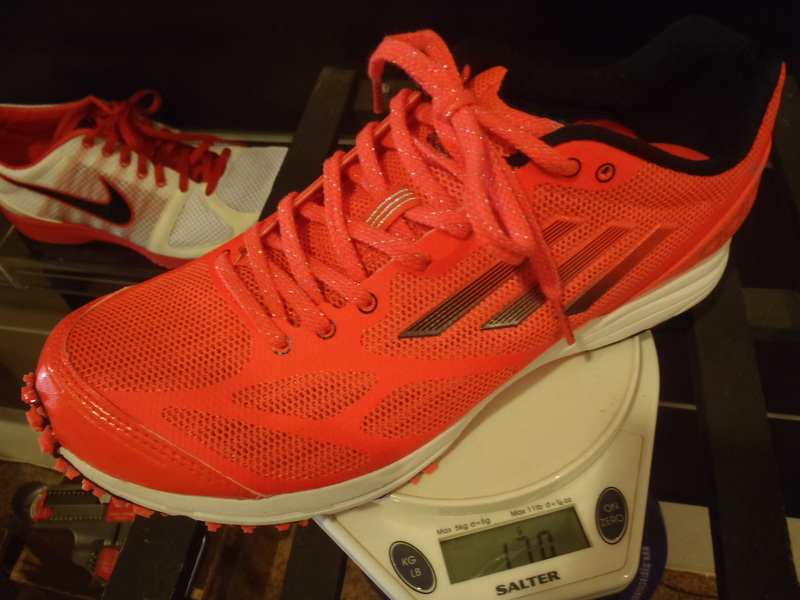 Weighing 190g for a US8, they are comparable to the Adidas Adizero Feather and Nike Lunarspider+ LT, which are positioned by their respective companies as lightweight trainers and not racers. 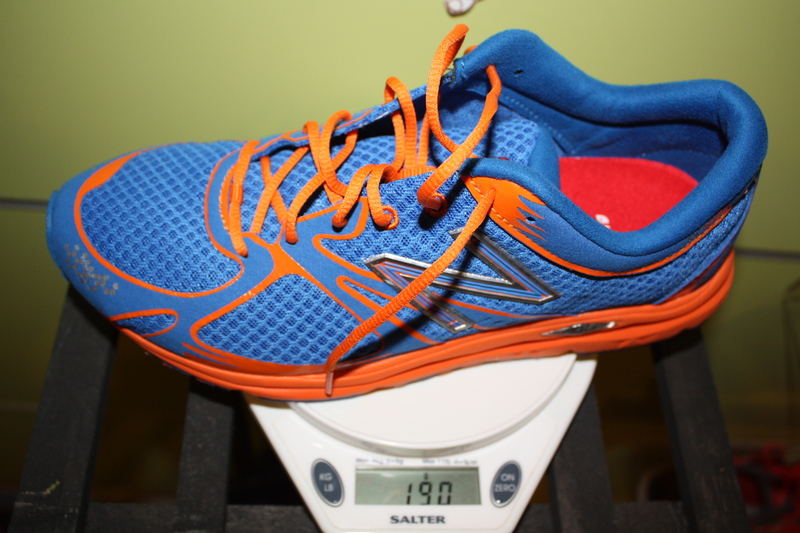 However, I think they’re alright weight-wise unless you are an absolutely shoe weight-weenie and will give most runners more confidence in wearing them for longer races. 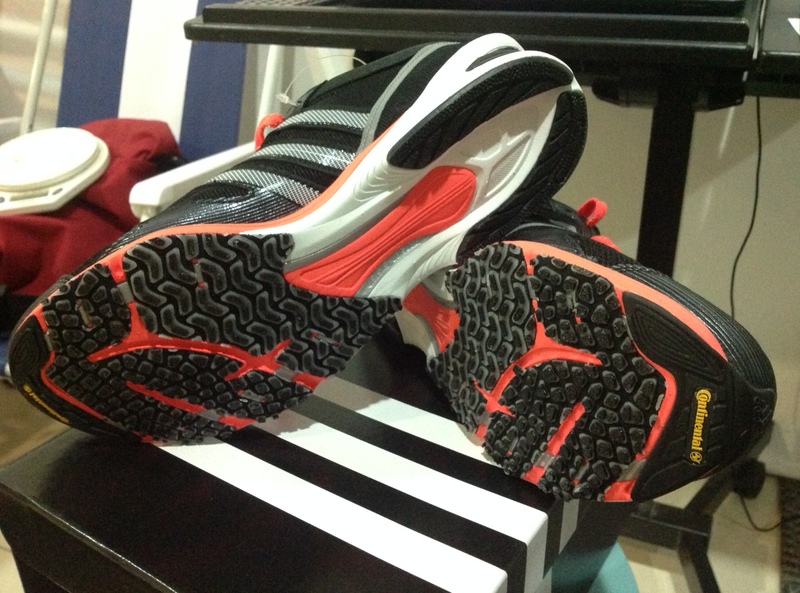 The outsole unit is blown rubber and feels like it will provide a good amount of traction even on slick surfaces. The Revlite midsole provides the same amount of cushioning as traditional cushioning compounds with a weight saving of 30%. 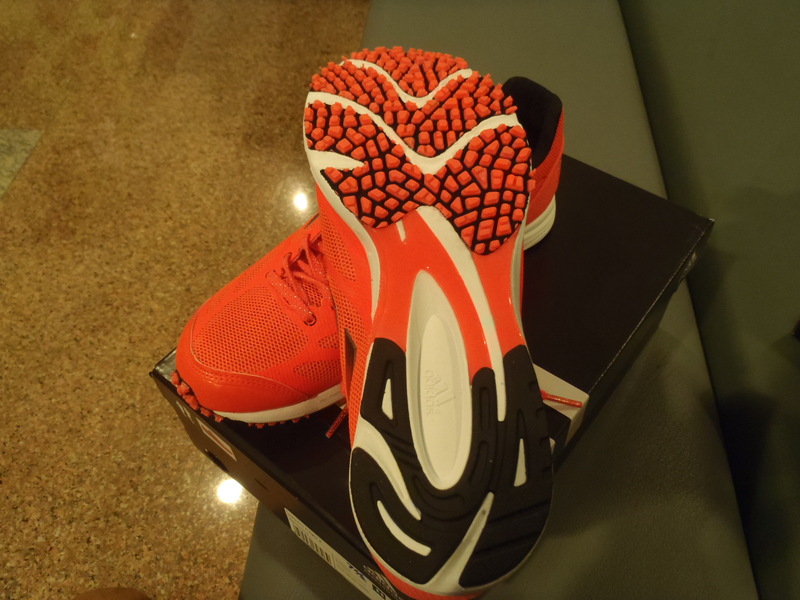 The full ground contact sole unit is meant to improve stability and reduce the amount of pronation as a result of fatigue later into your run. An open mesh, no sew upper completes the shoe. 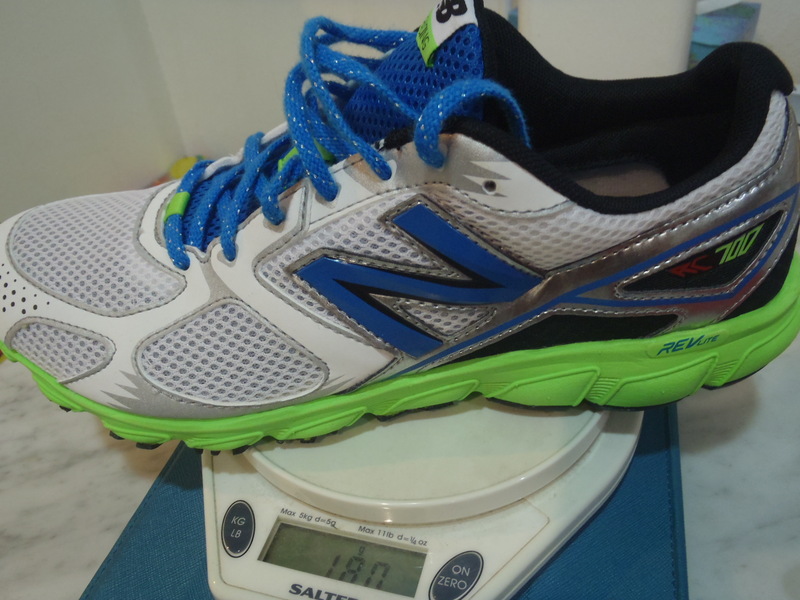 Ok technical specifications covered, on to the actual shoe. The RC1400 is a good looking shoe and continues New Balance’s commitment to making not just functional but fashionable shoes. 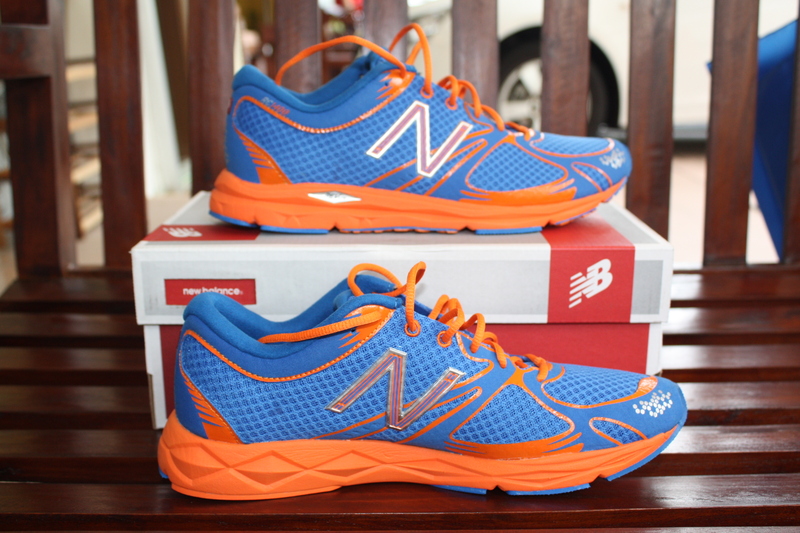 Nowadays its cool to wear NB and not have them referred to as “that army shoe brand” (for non-Singaporeans reading this, New Balance used to supply the Singapore Armed Forces with running shoes and let’s just say they won zero style awards). 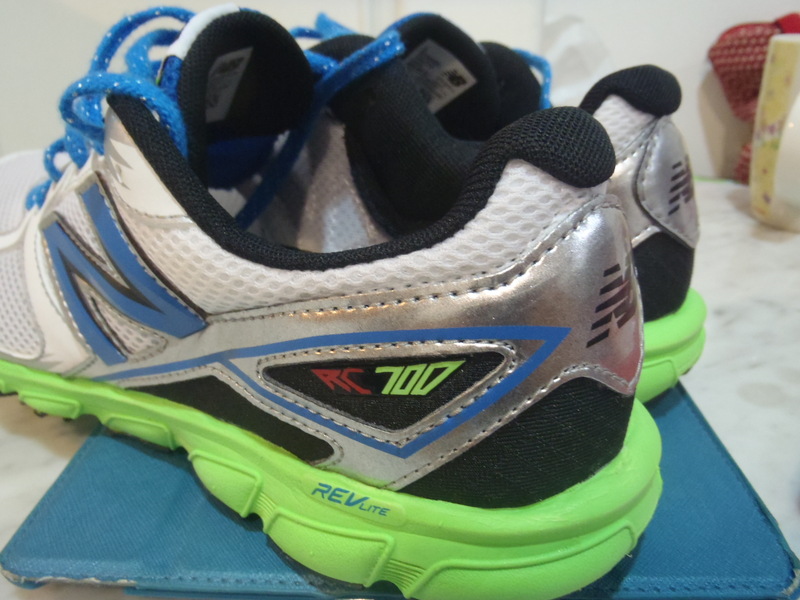 Length-wise, the RC1400 runs true to size, but take note that they are only available in D width for the men, so they might be on the narrow side. While the fit was snug, I felt most the upper was tighter on the outside of my foot and a bit not-tight-enough on the inside of my foot at the medial area. The no-sew seamless welded upper is very comfortable though and in fact, the shoes felt a bit more comfortable when I took my socks off. The 10mm heel drop is a tad on the high side for me and the RC1400 does not seem to have the feel of an aggressive racing flat. 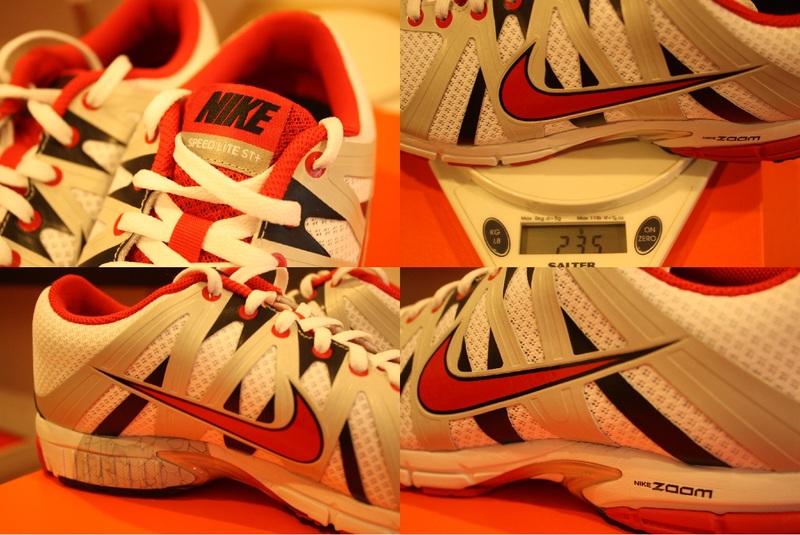 The shoe is stable and fairly responsive but its outsole is not as flexible as some other shoes in this same category. It was comfortable for my 2minutes on the treadmill but the RC1400 may not be my first choice for the next road race (if asked to choose between the RC1400 and the RC1300 – I’d go with the RC1300). 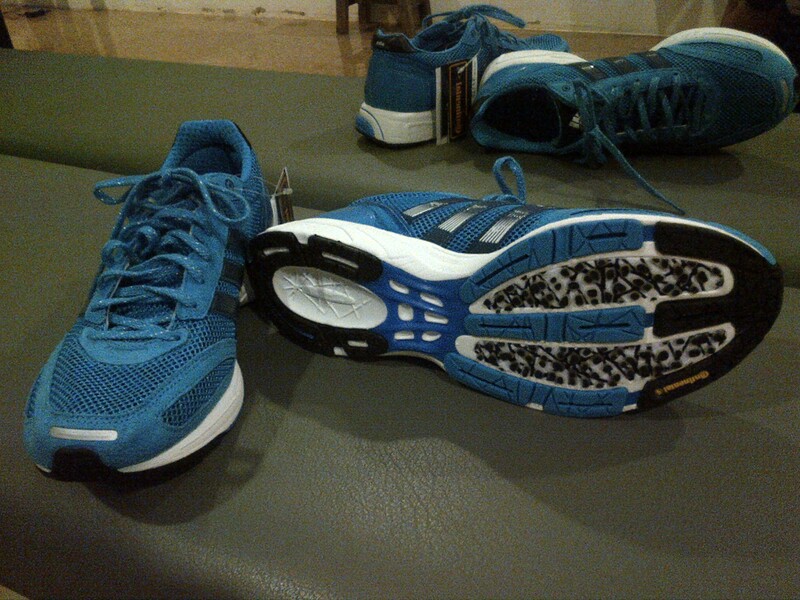 However, I think its a good option as a lightweight trainer for a bit of speedwork and even middle-mileage runs. 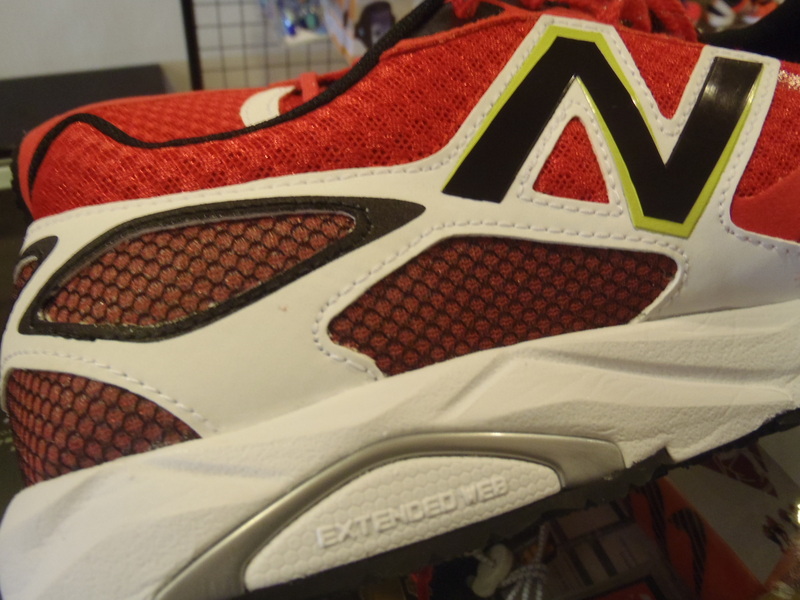 If you like the New Balance 890 and want an upgrade, the RC1400 is right up your alley! 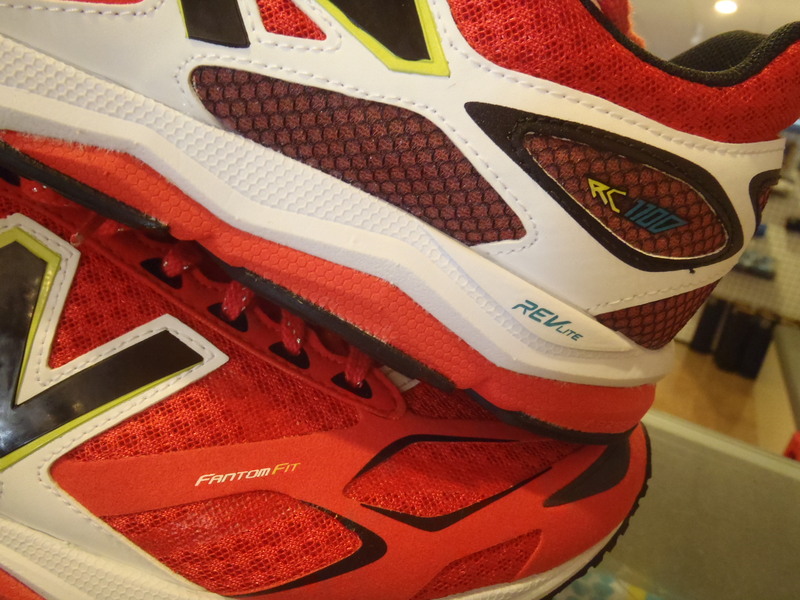 The RC1400 will definitely appeal to runners looking for a lightweight option but aren’t prepared to go for minimal cushioning just yet. 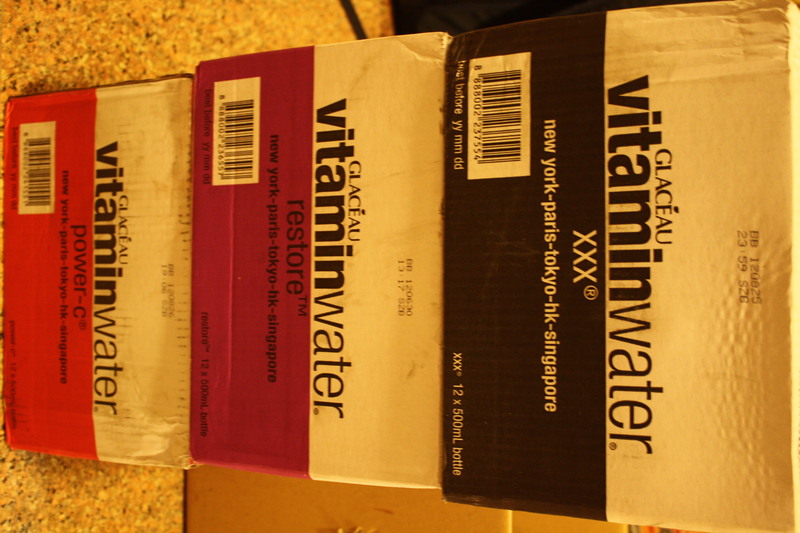 Available now at The Runner’s Gait! 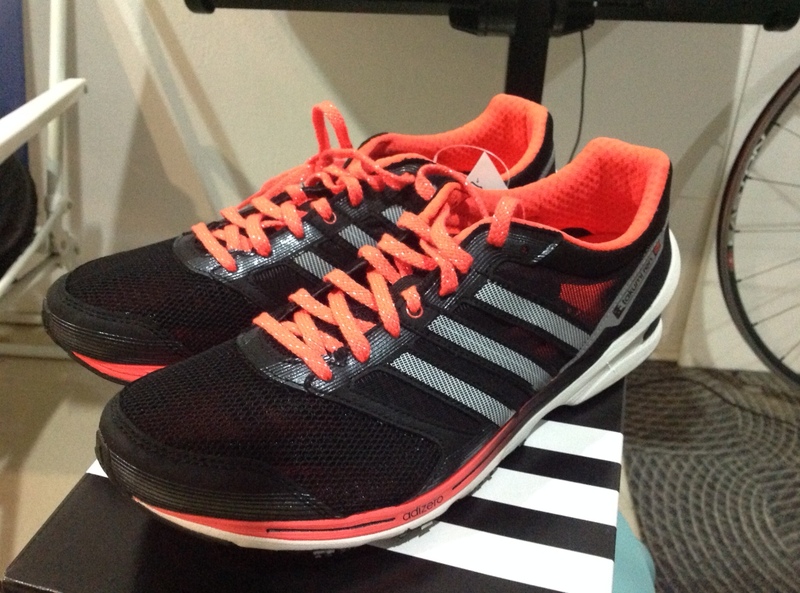 New from Adidas for the last quarter of the year is the Adidas Adizero Feather. Why is this a “5 Minute Review”? That’s because I literally wore these shoes for 5 mins, which included a minute and a half on the treadmill. 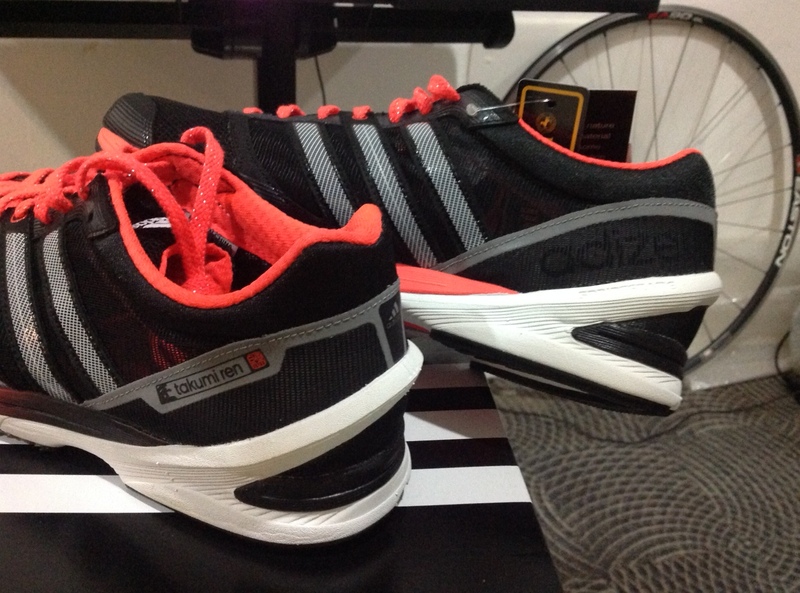 So here’s a very brief, first impression of these shoes. Weighing in at a featherweight (get it? featherweight? the shoe is called the ‘Feather”? no? 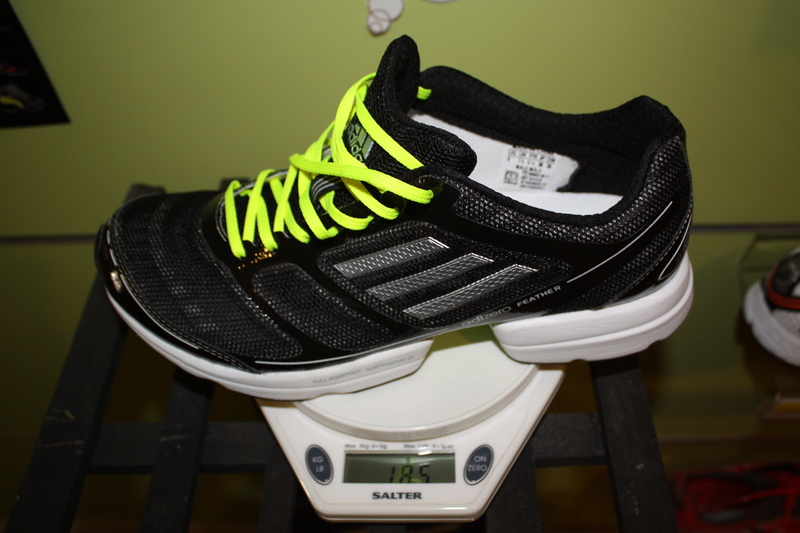 ok less comedy, more reviewing) 185g for a US8, this shoe is touted as Adidas’ lightest trainer ever. If your first thought was that this looks more like a soccer boot than a running shoe, its not your eyes playing tricks on you. 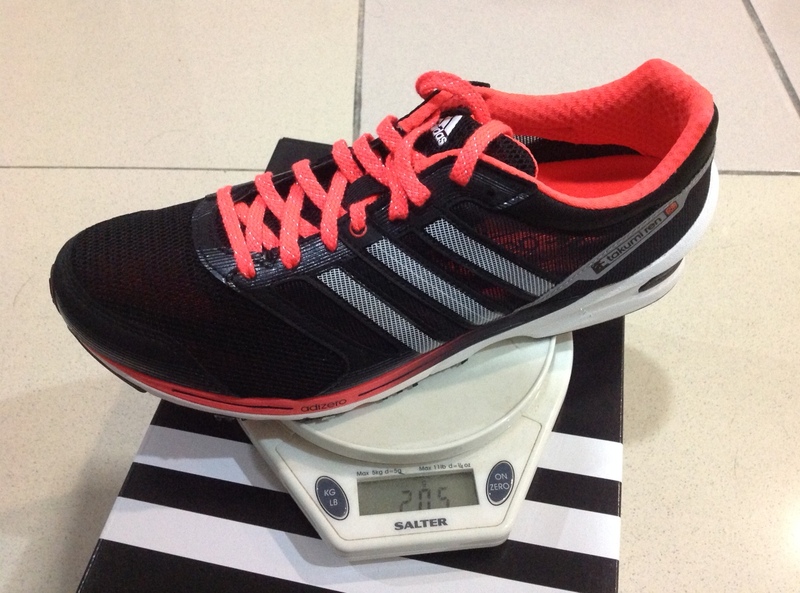 The Feather is actually modelled after the very popular Adizero F50 soccer boot. The Feather uses a open mesh SPRINTWEB upper that is reinforced in key areas to provide great support, comfort and breathability. 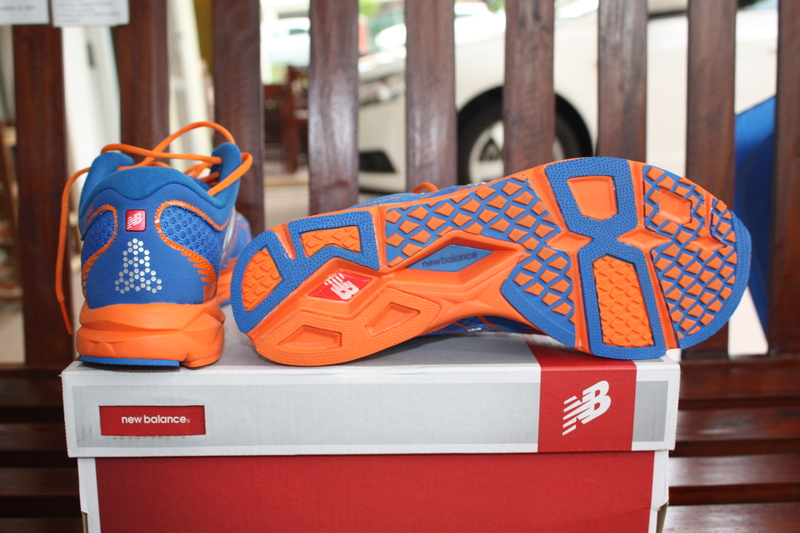 What’s interesting about this shoe is really the outsole. 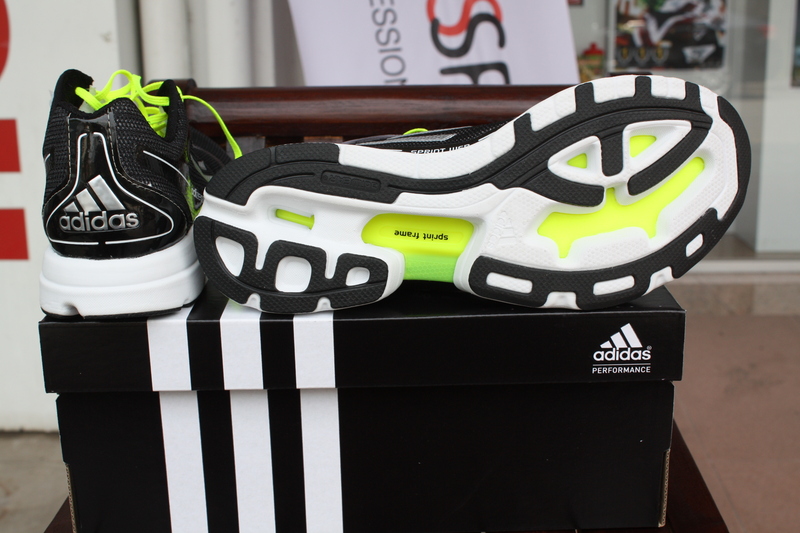 Adidas utilises their SPRINTFRAME which had full forefoot adPRENE+, usual Adidas features Torsion and adiWEAR are also there. 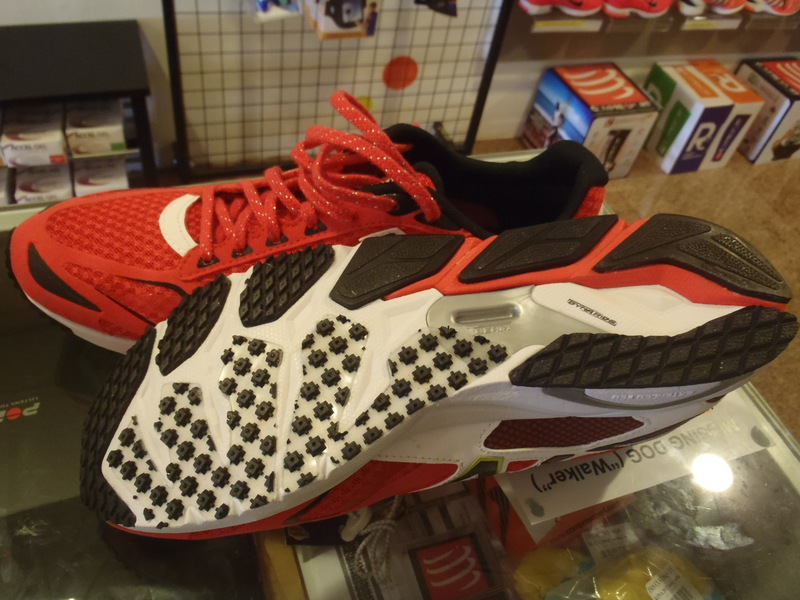 The SPRINTFRAME is actually missing parts of the outsole that you would expect to see in a ‘traditional’ shoe. This helps with the weight reduction of the shoe I’m sure and does not compromise the level of cushioning. In fact, I was very surprised at the responsiveness and cushioning of the Feather. Standing around in the Feather, they are very comfortable but I had my concerns about how much support they would provide for me, the runner low arched feet.&nbsp; Once you start running in them though, the SPRINTFRAME provides a nice responsive ride and I personally wasn’t worried about pronation (and believe me, I pronate quite a bit). The Feather runs true to size and the upper has a narrower fit as you’d expect from a shoe in this category. It is a comfortable shoe but I would recommend socks as it does not appear to have a no-sew construction in the upper. 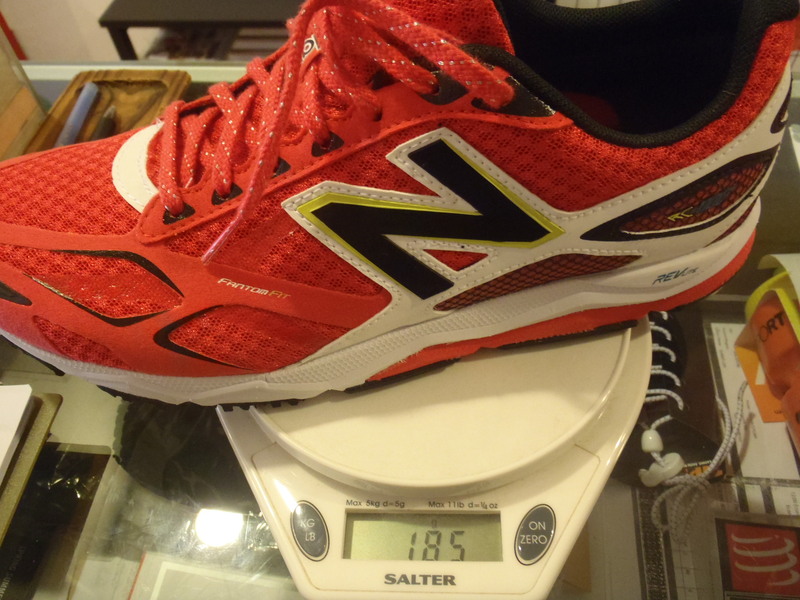 My only gripe is that owing to the unique shape of the SPRINTFRAME, it felt like there was a linear bump running across my midfoot when I put my weight down which coincided with the area of the outsole that was removed from its construction. Without more time in the shoe, it is hard to know if it is something you get used to. Overall, an interesting shoe that is worth checking out if you’re looking for something a little different in terms of design. 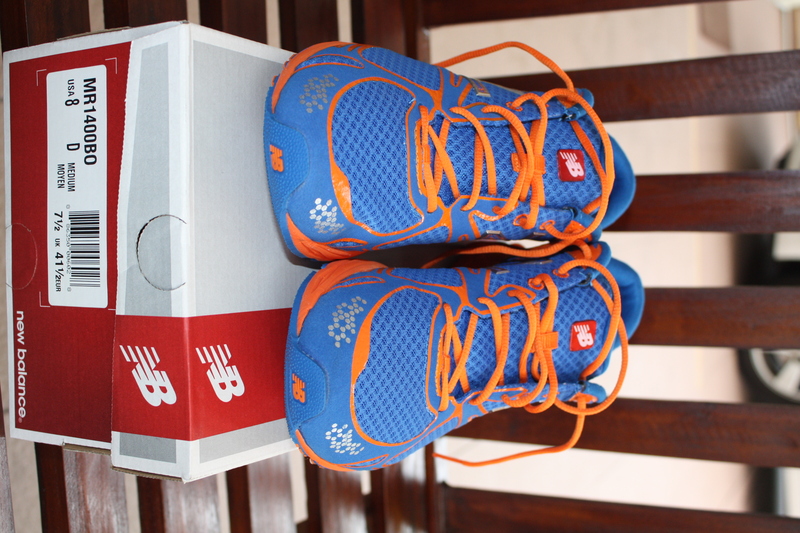 A responsive, well cushioned shoe in a lightweight package. 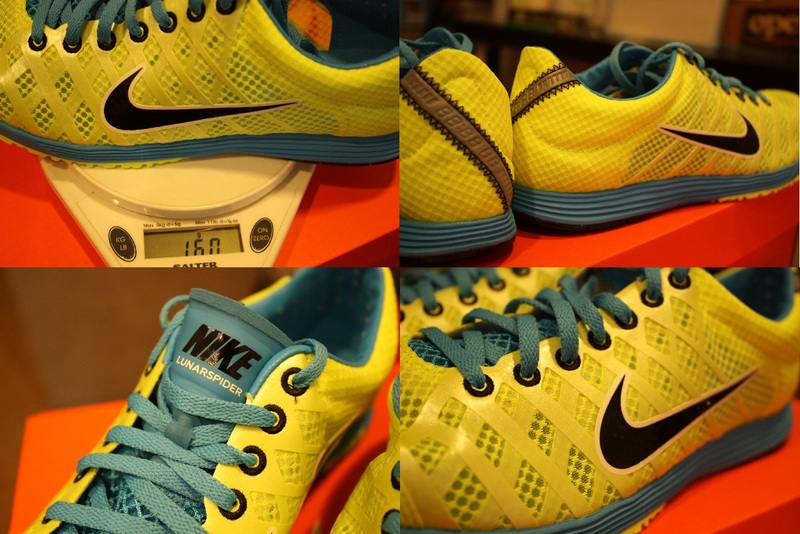 Available NOW at The Runner’s Gait.